The exhibition was displayed in the Thomas Peterson ’57 Gallery and included two additional displays on the main campus in the Compton Gallery (Building 10) and the Maihaugen Gallery (Building 14N). 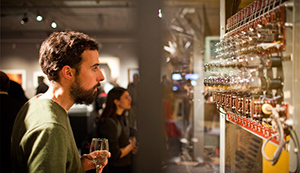 Be sure to visit the MIT 150 Exhibition website to enjoy a close-up look at the 150 objects that were included in the exhibition, and add your voice and your stories to become part of a permanent online archive for MIT's material culture. For additional information email: 150exhibition@mit.edu. 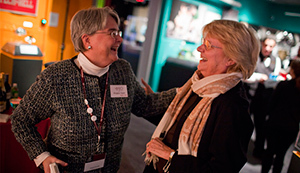 In celebration of the MIT 150 Exhibition and MIT's 150th anniversary celebration the MIT Museum presented an ongoing series of public programs throughout 2011. These events were free with Museum admission. 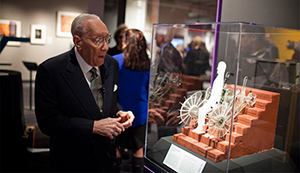 MIT’s Department of Architecture was the first of its kind in the nation. Today, the School of Architecture and Planning is among the most innovative and practical design-based programs in the world. Museum visitors were invited to take an insider’s tour of MIT 150 exhibition with Gary Van Zante, the MIT Museum’s Curator of Architecture and Design, to discover the people and projects that are changing the way we live in the world. Saturday, November 12, 2011, 2:00 p.m. – 3:00 p.m.
Join Alise Upitis, the Curator of Public Art at MIT’s List Visual Arts Center, and Laura Knott, the MIT Museum’s Curatorial Associate for Architecture and Design and Interim Exhibition Coordinator, for a lively conversation about public art at MIT and Alexander Calder’s La Grande Voile, featured in the MIT 150 exhibition. Museum visitors were invited to join Alise Upitis, the Curator of Public Art at MIT’s List Visual Arts Center, and Laura Knott, the MIT Museum’s Curatorial Associate for Architecture and Design and Interim Exhibition Coordinator, for a lively conversation about public art at MIT and Alexander Calder’s La Grande Voile, featured in the MIT 150 exhibition.